So we’re back after a beautiful long weekend, and it seems like Mother Nature is playing some kind of cruel April Fool’s day joke on us with this crazy weather. Yesterday it went from sunny blue skies to blizzarding, back to sun and then blizzarding again within a span of about 15 minutes, and it did that all day long! And today she’s pretending it’s January again and hitting us with -12C temperatures. Apparently Mother Nature thought it would be fun to extend April fool’s day. Not cool. With another pancake in a jar, of course! 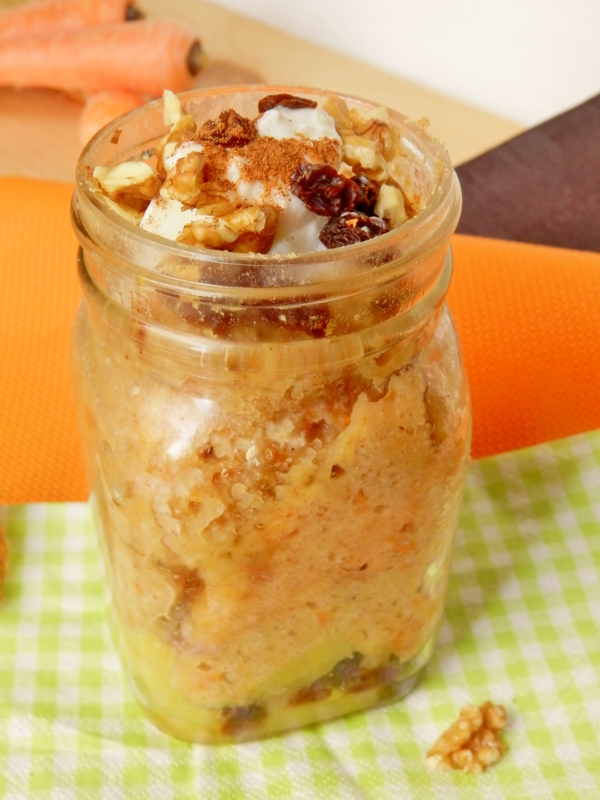 Ok ok, we know what you’re thinking- another pancake in a jar? Seriously? 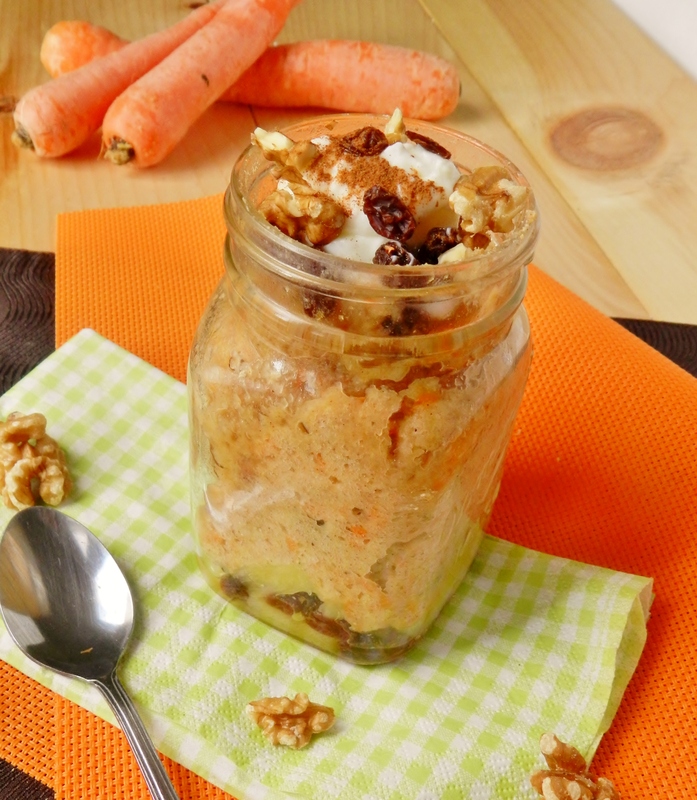 Seriously, if this doesn’t crush your carrot-cake craving, we don’t know what will! In a medium-sized bowl, combine all the dry ingredients. Whisk together with a wire whisk to remove any clumps. Add the wet ingredients to the dry and stir just until fully combined. 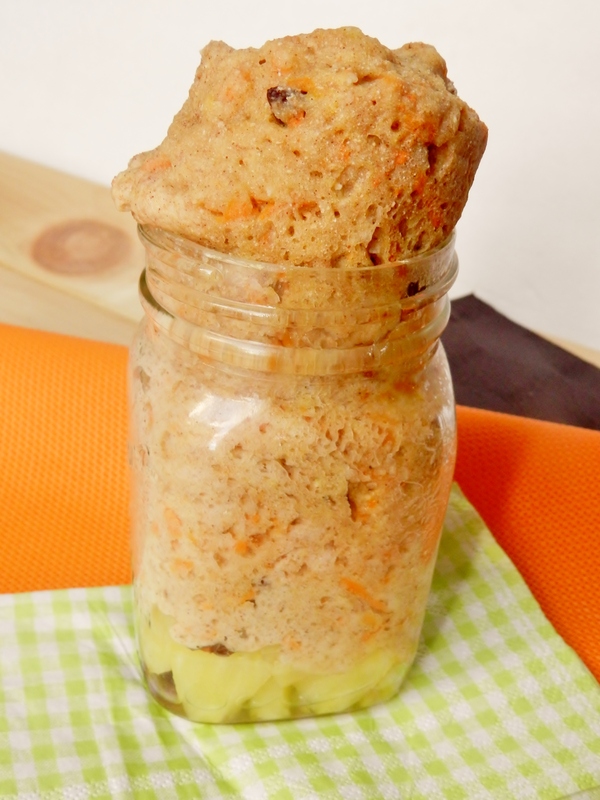 Fill two medium-sized jars 1/4 of the way with diced pineapple and raisins. Divide the batter in half and spoon into the jars on top of the pineapple. Cook in the microwave for 5 minutes, or until the pancake is firm (yet still springy) to the touch. 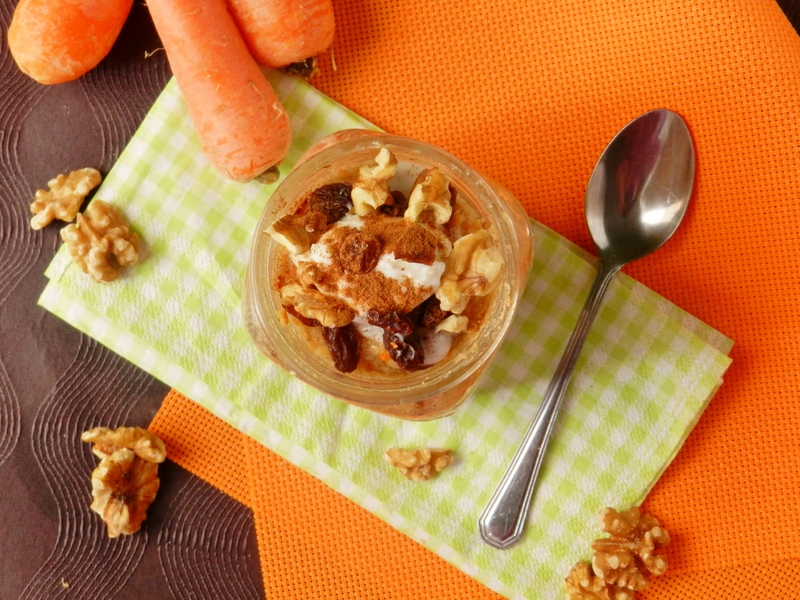 Top with syrup, extra raisins, walnuts, and a dollop of yogurt if desired. In a small ramekin, stir together the pineapple juice and honey. Pour over top of pancake. Do you have a certain breakfast that you make over and over again? What are some of your favourite ways to re-make it each time? Posted in Uncategorized and tagged apple pie, april fool, breakfast, carrot cake, carrot cake pancake, carrots, cinnamon, coconut, coconut flour, crazy weather, Easter, easy, food, healthy, jar, low fat, microwave, nutmeg, pancake, quick, raisins, recipe, recipe book, walnuts, weather yesterday, whole wheat, whole wheat flour. Bookmark the permalink. Now, for most people, Easter is synonymous with chocolate. Don’t take this the wrong way: it definitely is for us, too! A holiday that encourages excessive chocolate consumption? We are so there, 100%! 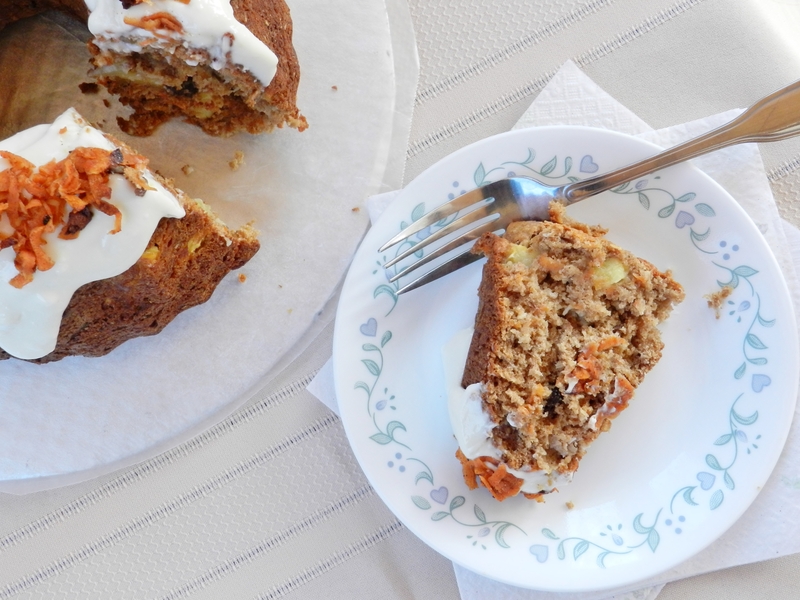 But there’s something else that comes to mind when we think of Easter: Carrot Cake, of course! No Easter would be quite the same in our house without carrot cake. In fact, if we had to make a decision as to what would qualify as our top 3 favourite cakes (a horrible decision to have to make, we know! 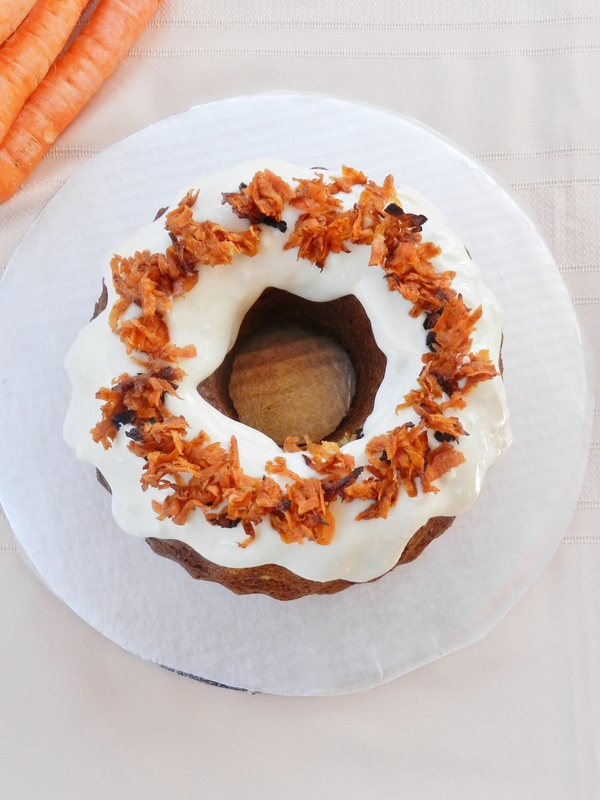 ), carrot cake would definitely make the cut. 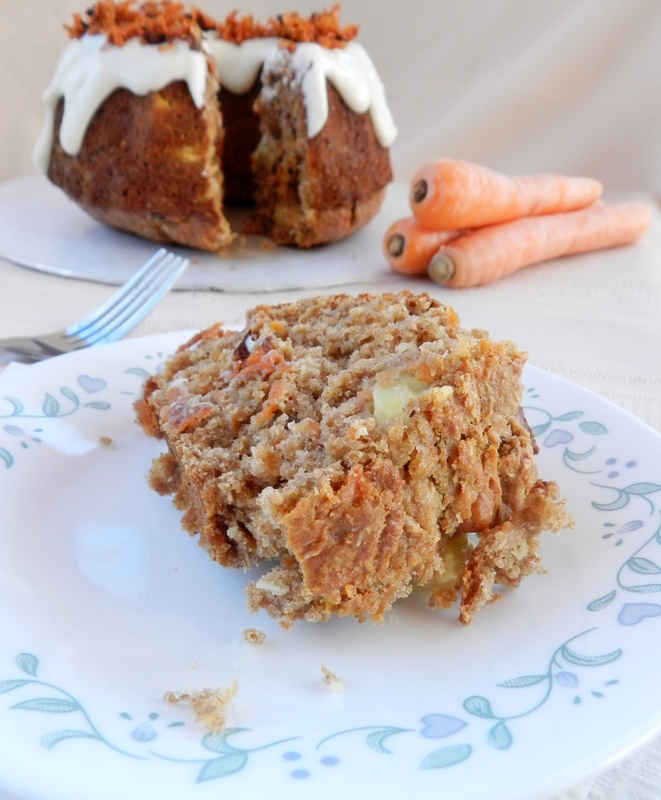 We’ve looked forward to our mother making carrot cake every year since we were little! Of course, that means we’ve made it healthy. But who really cares if it’s healthy, as long as it tastes delicious, right? And we guarantee you – this is delicious! In a large bowl, combine all dry ingredients. 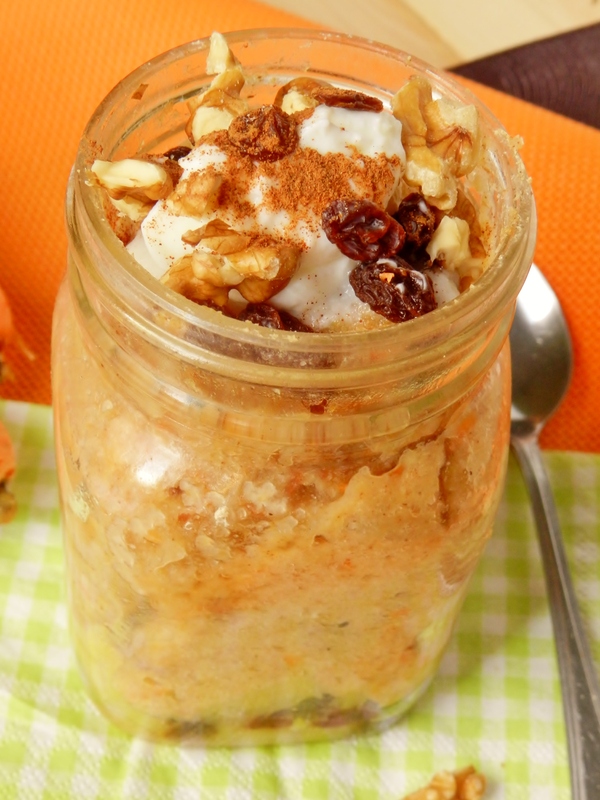 In a medium sized bowl, combine the eggs, oil, honey, yogurt, milk, vanilla and carrots. Pour the wet into the dry and mix just until moistened. Now add the pineapple, walnuts and raisins, if using. Pour into a greased bundt pan and bake for 45-50 min, or until a toothpick inserted into the centre comes out clean. Allow to cool for 10min then invert it onto a wire wrack and allow to cool. Blend the cottage cheese until smooth. In a medium bowl, cream the honey and cream cheese together. Stir in the cottage cheese, vanilla and butter extract (if using), mix until smooth. Pour over top of cake once cooled. Turn the oven up to 400F. (after removing the cake). Place grated carrot on a paper towel and squeeze out excess moisture. Toss with honey and cinnamon and spread out onto a baking sheet. Bake for 15-20min. or until some of the carrots are crispy. Allow to cool, they will become a little crispier as they cool. Once cooled, sprinkle over the top of your cake. What’s your favourite kind of cake? Do you have any special Easter traditions? As we mentioned in yesterday’s post, our family started a new Easter tradition last year of a soup and sandwich potluck last year instead of the traditional Easter feast. So easy and so delicious! 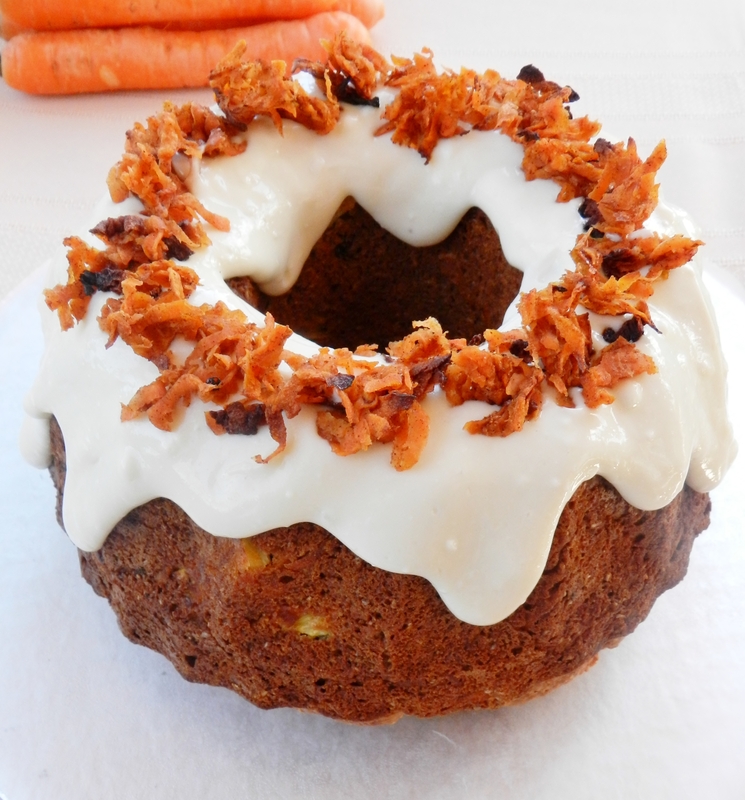 Posted in Uncategorized and tagged bundt cake, cake, carrot bundt cake, carrot cake, chocolate consumption, coconut, cottage cheese, cream cheese frosting, dessert, Easter, food, healthy, low fat, low fat cream cheese, low sugar, pineapple, raisins, tsp vanilla, walnuts, whole wheat, whole wheat flour. Bookmark the permalink. We love lemon, as is evident here, here, here and here. 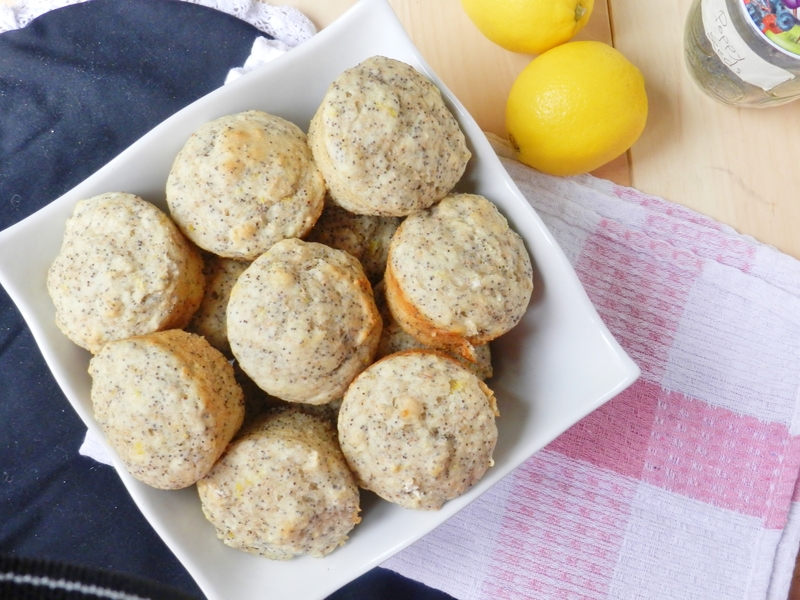 So why not make lemon muffins? 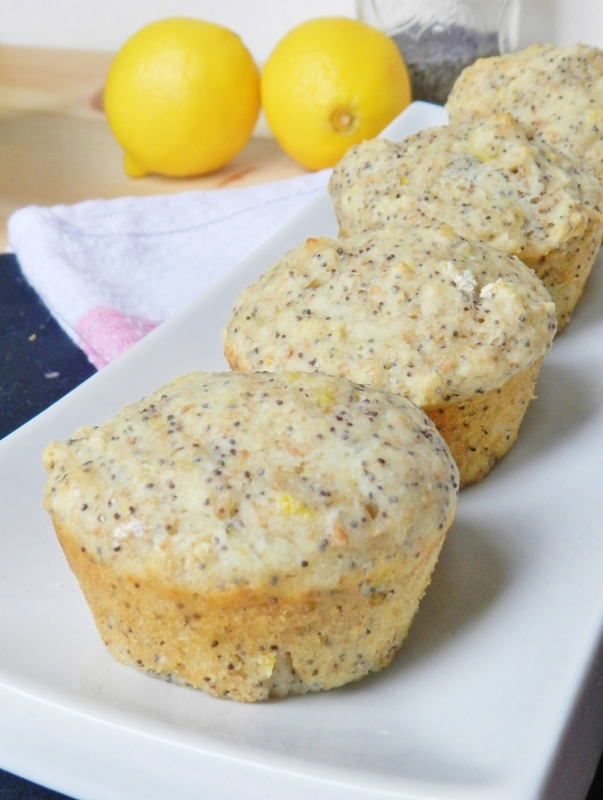 And of course, we love to put poppy seeds in whenever we bake with lemon! 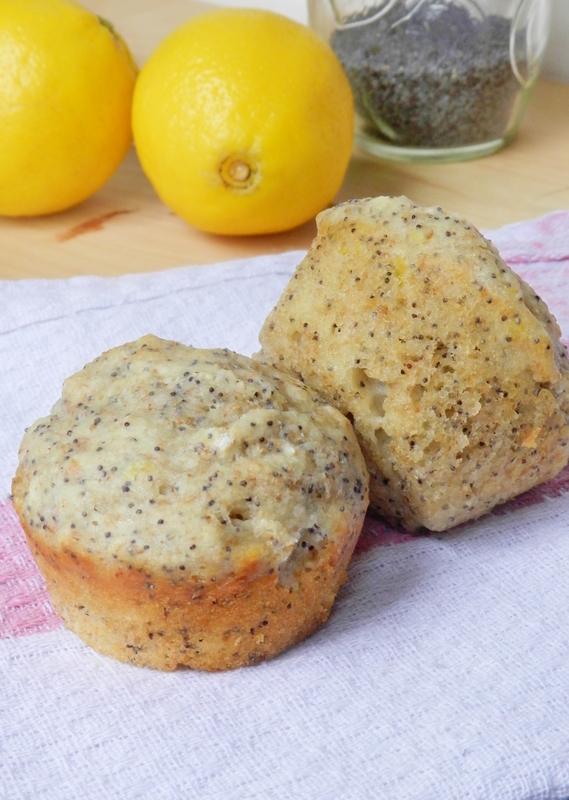 We also love the lemon + coconut pairing, so naturally we made these muffins with part coconut flour. The coconut flour just makes them so pillow-y soft with a hint of sweetness, yet the lemon gives them a sunshine-like brightness, they really couldn’t have turned out any better! 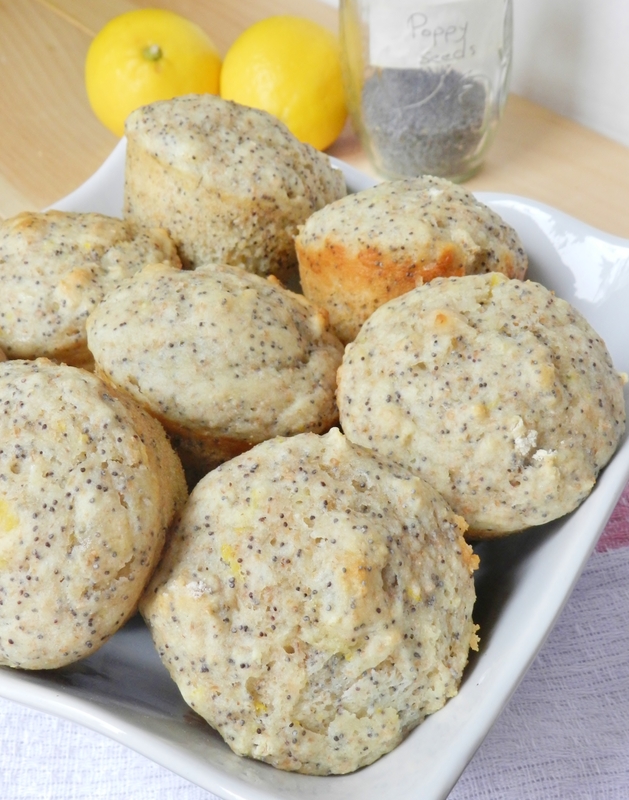 We hope these muffins bring some sunshine to your day like they did to ours! In a medium sized bowl, combine all of the dry ingredients. In a separate bowl, mix together the wet ingredients. Pour the wet into the dry and stir until just combined. Divide batter evenly between 12 greased muffin cups. Bake for 15-20 minutes, or until lightly browned and firm to the touch. 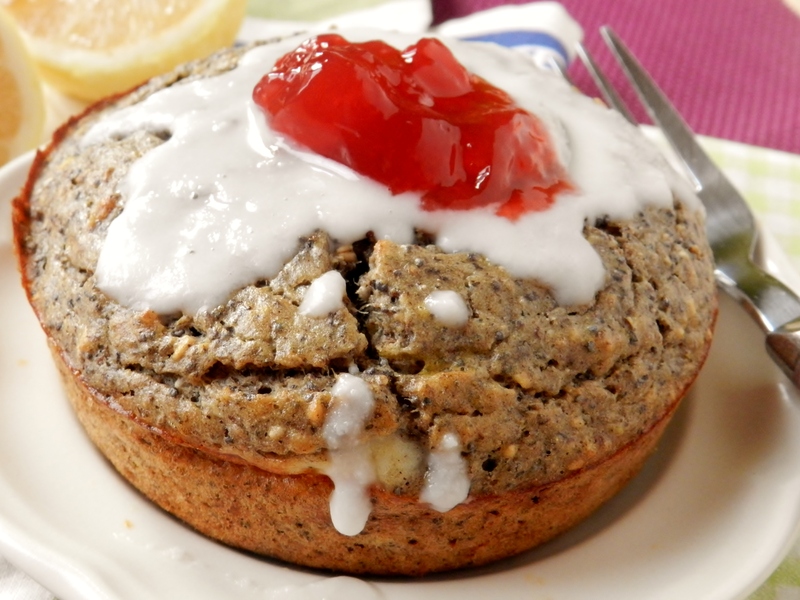 Posted in Uncategorized and tagged bake, breakfast, coconut, coconut flour, coconut muffins, easy, food, healthy, lemon, lemon muffins, lemon zest, low fat, muffins, poppy seeds, quick, recipe, snacks, tbsp poppy seeds, whole wheat, whole wheat flour. Bookmark the permalink. We’ve been on a real lemon-kick lately. 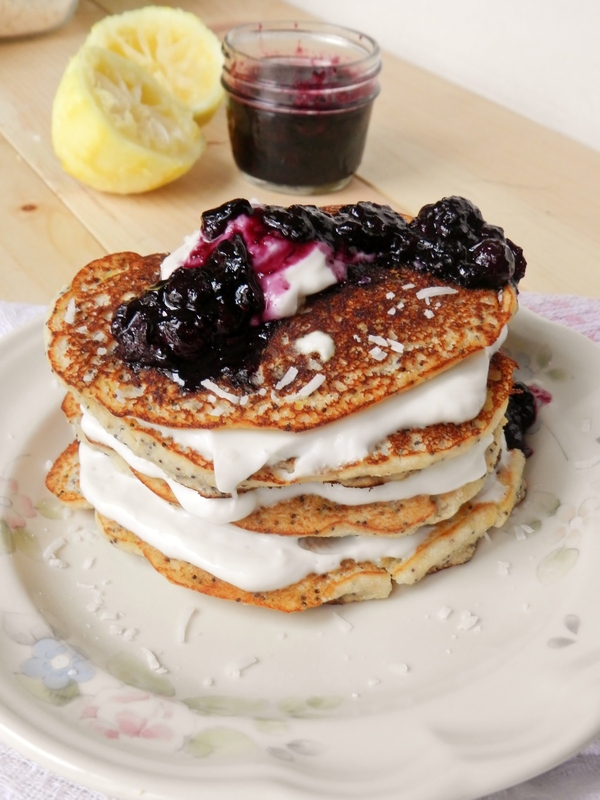 More specifically, we’ve been on a real lemon-coconut-blueberry kick. But wait a sec, where’s the blueberry? 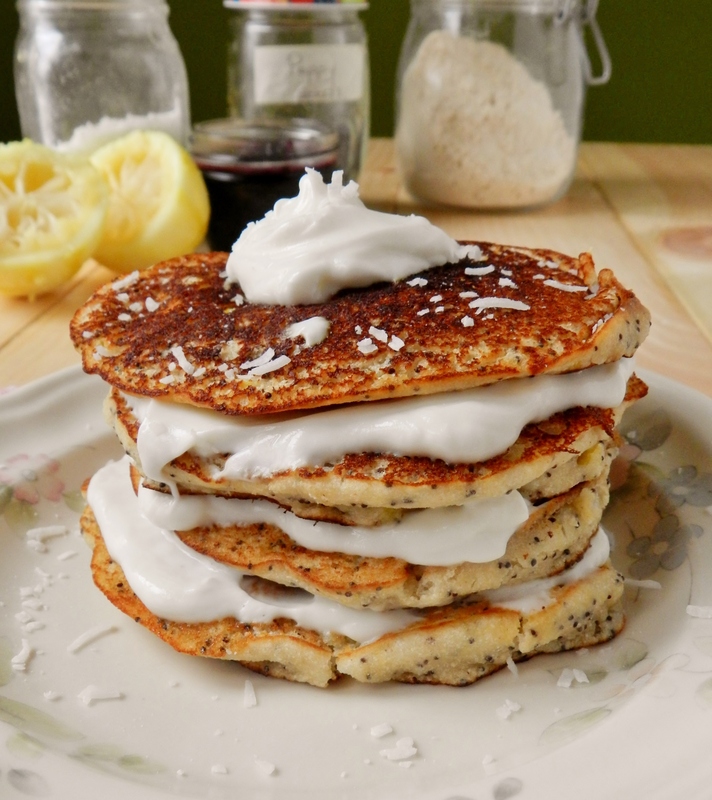 These pancakes use one of the best ingredients int the world- coconut flour! If you want to make something soft and fluffy, coconut flour is the best! And it’s slightly-sweet coconut flavour adds a nice flavour to your baked goods. It’s also gluten-free, so those who are allergic need not be afraid, and guess what? It can be found at the Bulk Barn! No need to travel the world city looking in every health-food store you can find to get it, just pick some up the next time you go to the Bulk Barn to stock up on chocolate-covered everything. One thing to note, though, is that coconut flour absorbs a lot of water, so your batter will be much thicker than what you might be used to. Don’t wait to see bubbles on your pancakes before flipping them, because it’ll never happen and you’ll end up with some very burnt pancakes! Heat a pancakes griddle or non-stick frying pan over medium-high heat. In a medium-sized bowl, combine all the dry ingredients. In a separate bowl combine all the wet ingredients. Add the wet ingredients to the dry and stir until just combined. Spray the griddle or frying pan with cooking spray and drop spoonfuls of batter onto the pan, spreading them out to make round disks. Cook for 2-3 minutes, or until the edges start to cook. Carefully flip them over (they’ll be very soft and a bit fragile) and cook for another 2-3 minutes. 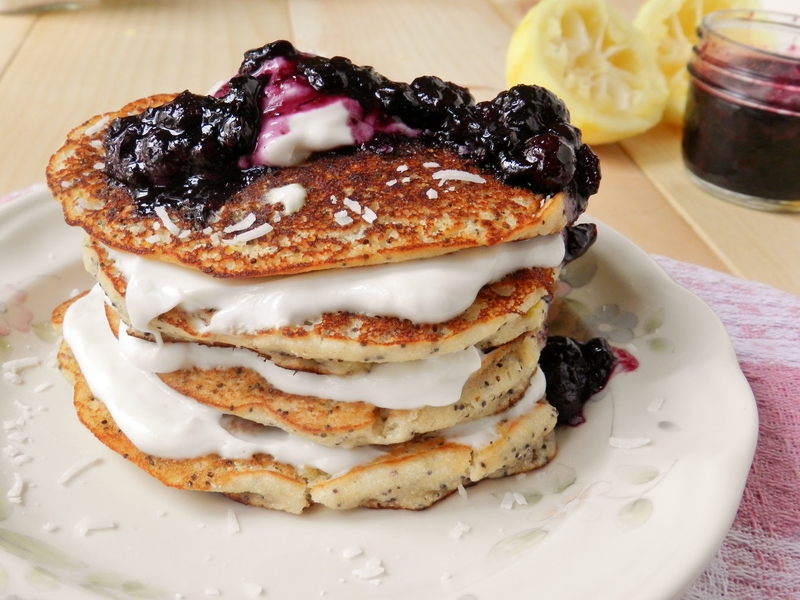 To make the Cream: Stir the coconut cream and yogurt together and layer in between each pancake. To make the Blueberry sauce: Place blueberries in a pot and cook over medium-high heat, stirring frequently, mashing the blueberries slightly as they cook. Once the blueberries begin to boil, add the honey and cook for another minute. Reduce the heat to low and cook, stirring frequently, until the sauce thickens slightly. Have you ever tried coconut flour? Posted in Uncategorized and tagged blueberry, blueberry sauce, breakfast, c coconut, coconut, coconut cream, coconut flour, food, health food store, healthy, hummus recipe, lemon, lemon poppyseed, lemon-blueberry, lemon-coconut, lemon-coconut-blueberry, low fat, low sugar, pancakes, poppy seeds, sweet coconut, whole wheat, whole wheat pastry flour. Bookmark the permalink. Have you ever tried a plantain banana? Up until about a month ago, we had not. We were both always a little leery of trying them, because let’s be honest, they kind of look like mutant, over-grown bananas that never really ripened properly- not exactly something that entices you to pick them off the shelf. 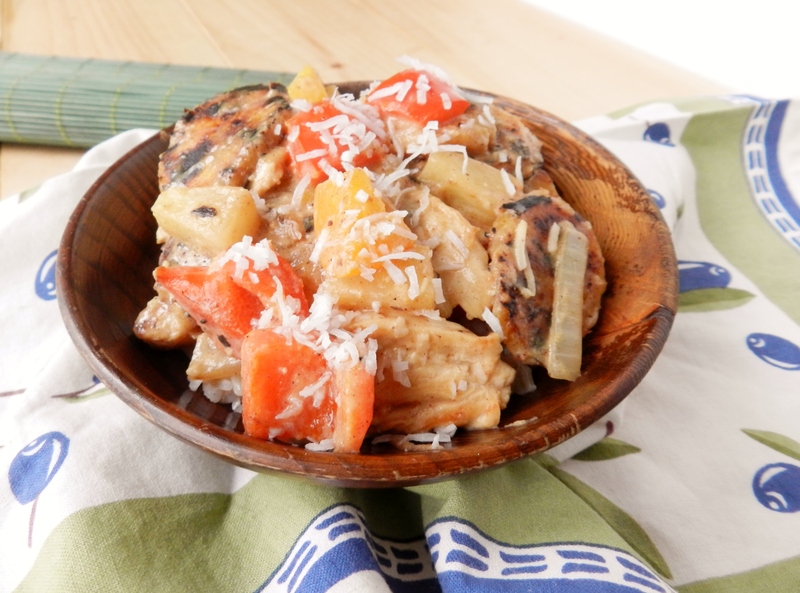 But then we saw this recipe: Creamy Pantain and Coconut Chicken by Sonia, the Healthy Foodie. We knew the instant we saw this recipe that we had to get over our trepidation about plantain bananas. And boy are we glad we did! And since it’s nearing the end of February and we’re craving a little warmth and sunshine, it only made sense to make a tropical version! And what comes to mind when you think tropical? 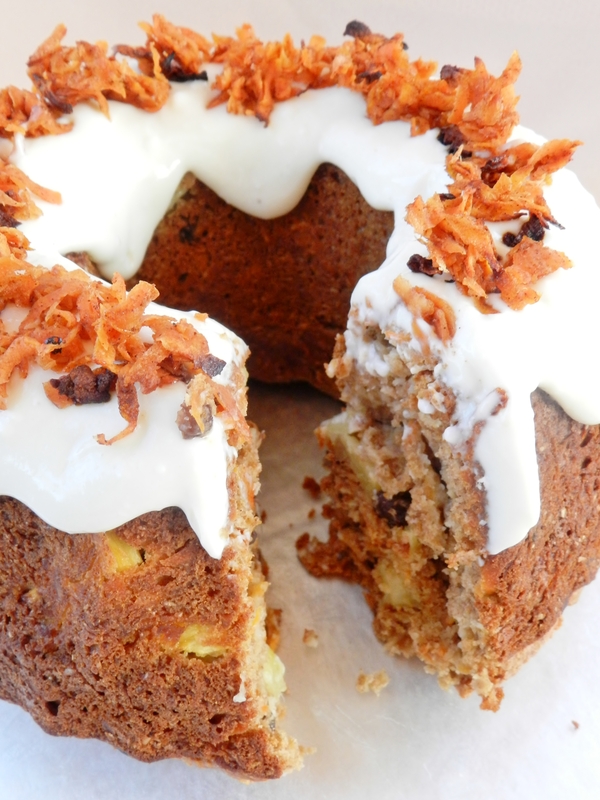 Pineapple and coconut! Heat a small amount of olive or coconut oil in a frying pan over medium heat. Slice the chicken into strips, and put in the pan. Saute the chicken until the pieces are browned on all sides, then remove fro the pan (it’s ok if it’s not fully cooked- you’ll be adding it back in later). Add the onion and garlic to the pan and cook until the onions start to soften and turn translucent. Add the peppers and cook until they begin to soften, about 3-4 minutes. Add the cinnamon and nutmeg and cook for another minute. Add the chicken back to the pan and cook until the chicken is cooked through. Now add the coconut milk, pineapple juice, and pineapple to the pan. Bring to a boil and then turn the heat down to medium-low and simmer for a couple minutes. Turn off the heat and remove the pan from the burner. Stir in the yogurt, coconut, and salt and pepper. (Adjust the seasonings to your tastes). Serve over rice. 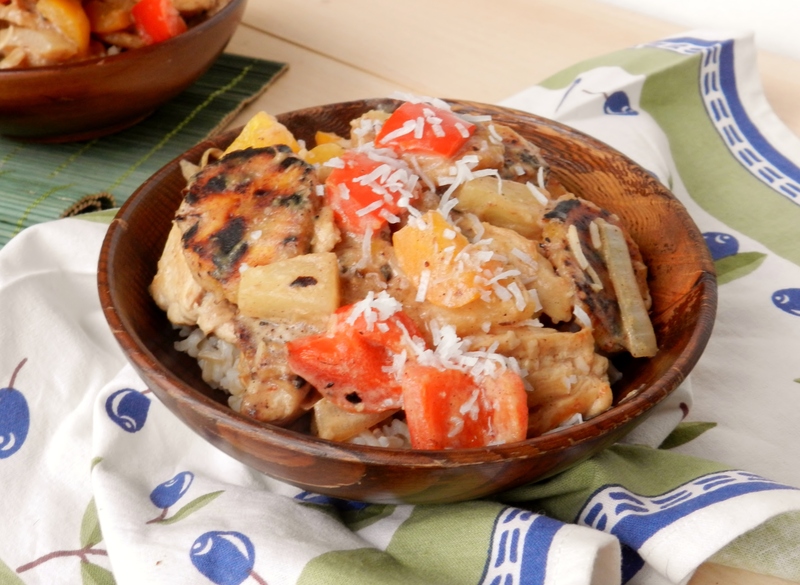 Posted in Uncategorized and tagged chicken, cinnamon, clove of garlic, coconut, coconut milk, coconut oil, creamy, dinner, easy, food, healthy, nutmeg, pineapple, pineapple juice, plantain, plantain banana, plantain bananas, rice, The Healthy Foodie, tropical, warmth and sunshine. Bookmark the permalink. We hate to start yet another post complaining about the cold, but seriously- it was 10 degrees yesterday- 10 degrees– and today it’s -14 with winds so strong we were almost knocked over waiting for the bus this morning! Why must Mother Nature tease us with warm temperatures only to pull the rug right out from under our feet? Once we had a taste of yesterday’s warm weather, though, we had a hard time accepting what greeted us when we woke up this morning. And well, with the tropical vacation that we’re not going on in a couple of weeks for February break (sigh) we felt the need to bring the tropics to us. And there’s nothing that screams tropical oasis more than a piña colada! But we didn’t really think it was appropriate have a rum-based cocktail for breakfast (save that for an actual vacation ;)), we made piña colada-inspired pancakes instead! Thick, fluffy pancakes infused with the flavours of coconut, pineapple and rum (thank you, rum extract! 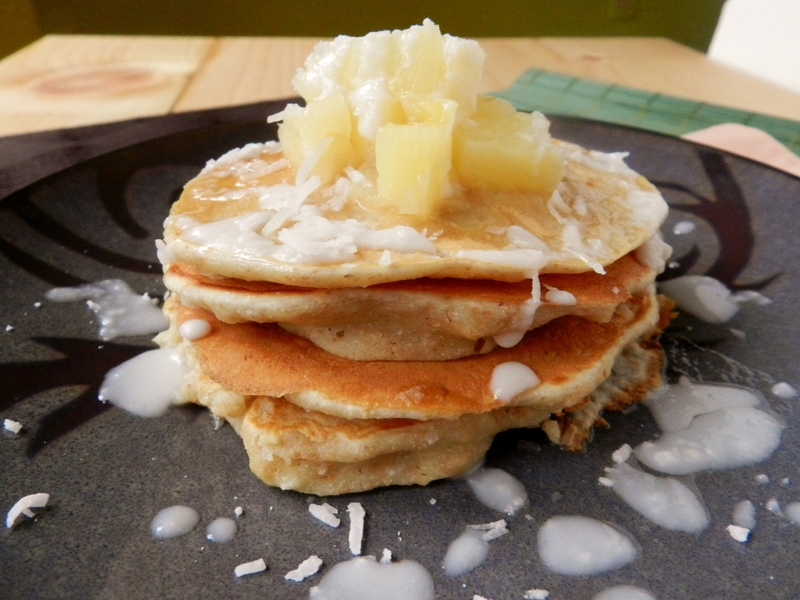 ), drizzled with a sweet pineapple syrup and warm drippy coconut butter? Mix all dry ingredients in a medium-sized bowl and stir until fully combined. In a separate bowl, combine the wet ingredients. Add the wet to the dry and stir just until combined. Spray a skillet with cooking spray and heat over medium-high heat. Drop spoonfuls of batter onto the pan and cook until the edges start to firm up. Flip and cook for another couple of minutes. For the Sauce: Combine all ingredients in a small pot over medium-high heat. Bring to a boil, then reduce the heat to low and stir until the sauce has thickened slightly. Drizzle over pancakes. What do you do when you crave a taste of the tropics? 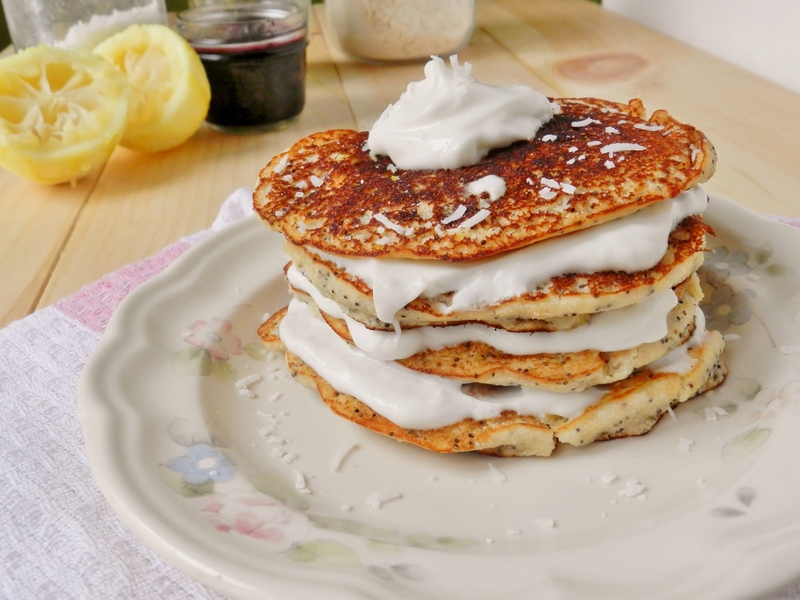 Posted in Uncategorized and tagged breakfast, c coconut milk, coconut, coconut butter, cold, fluffy pancakes, food, healthy, low fat, pancakes, piña colada, pineapple, pineapple juice, rum, rum extract, sweet pineapple, syrup, tropics, unsweetened coconut, whole wheat, whole wheat flour. Bookmark the permalink. We can’t believe it’s been five whole days since our last post! That is officially a record for us. But don’t worry, we’re going to make it up to you! 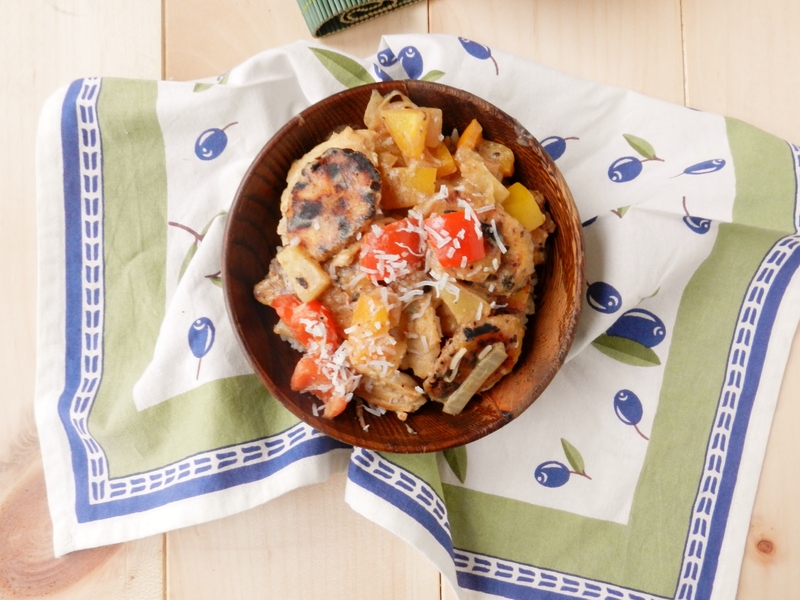 Because today we’re bringing you a delicious recipe. A recipe that we told you about last week, but have still not posted about, an entire week later! So how do we repay you? Why, with cake, of course! We recently posted about our Red Velvet Buckwheat Bake, and we honestly thought it couldn’t be topped, but this new version will definitely give it a run for it’s money! We realize that we just gave you a recipe for a buckwheat bake, but honestly, can you ever get tired of eating cake for breakfast? We can’t. 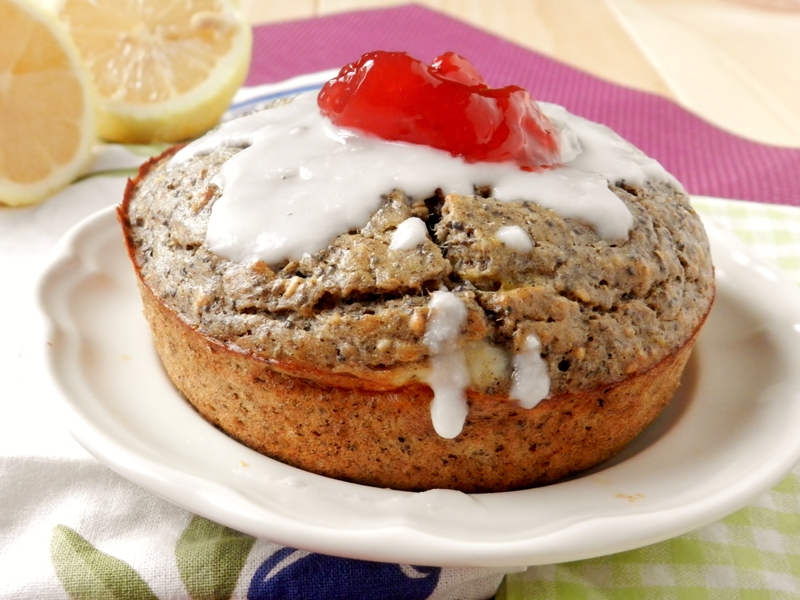 Especially if it means eating this Lemon Poppy Seed cake. There are only two words you need to describe this creation- ridiculously delicious. 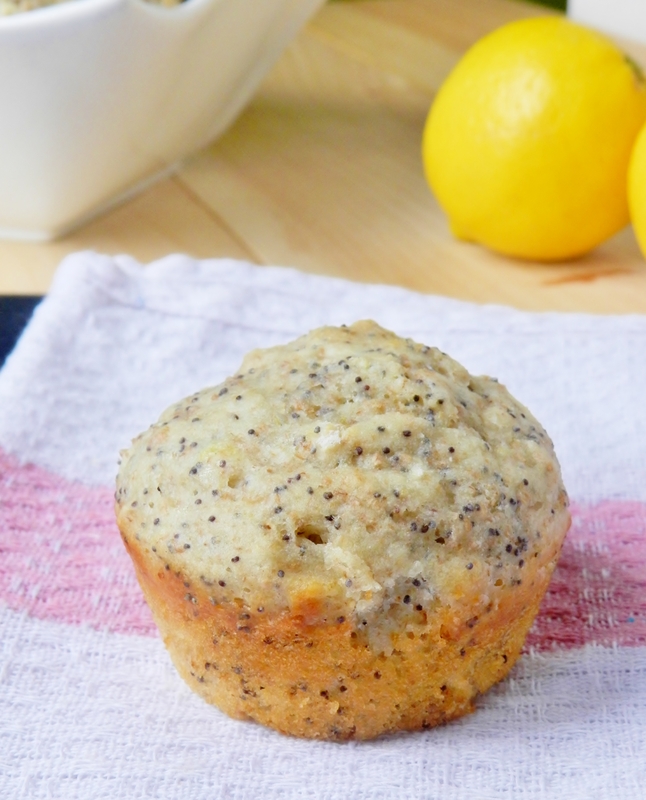 It was bursting with fresh lemony flavour, and the poppy seeds add a bit of texture to it that takes it up to a whole new level of deliciousness. 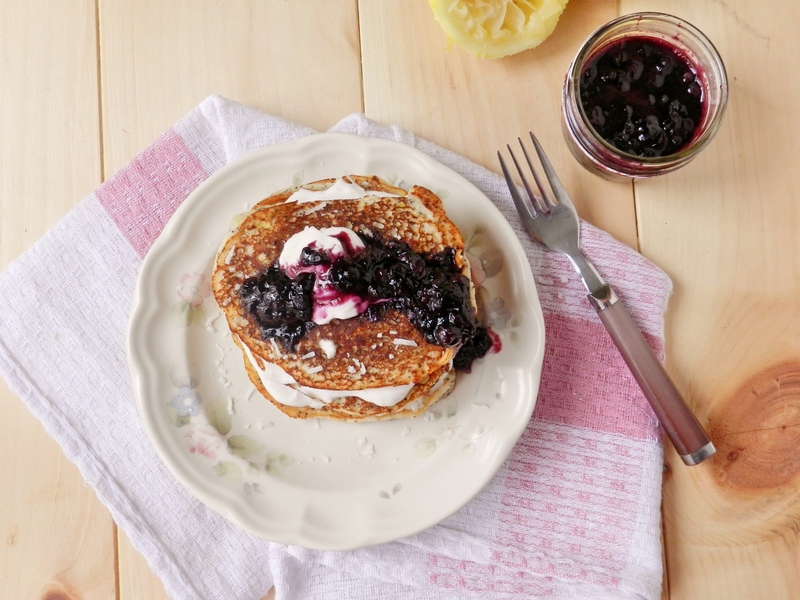 Topped with a bit of drippy coconut butter and a dollop of raspberry jam, this was breakfast perfection! 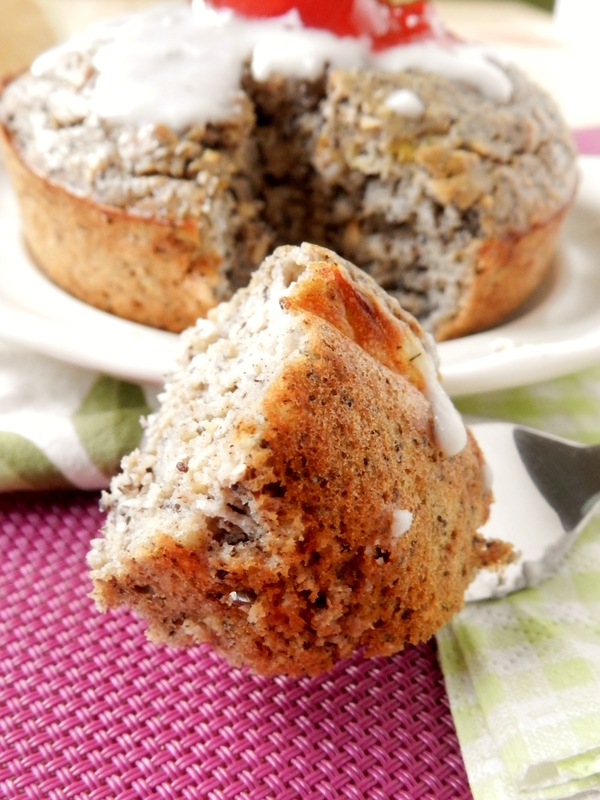 Since we have now posted several buckwheat bake recipes, we thought now is a good time to give you some advice on substitutions you can make, since we realize that not everyone has chia seeds, buckwheat flour and buckwheat groats in their pantry! So here’s a list of handy substitutions you can make so everyone can enjoy the magic that is the buckwheat bake! If you don’t have buckwheat flour, any other flour will most likely work. We really enjoy oat flour for a slightly different flavour, but feel free to try whatever you have in your cupboard! If you don’t have buckwheat groats, you can substitute steel cut oats (we have done this several times before) or even try using rolled oats. They’re really just there to add a bit of bulk and some texture. 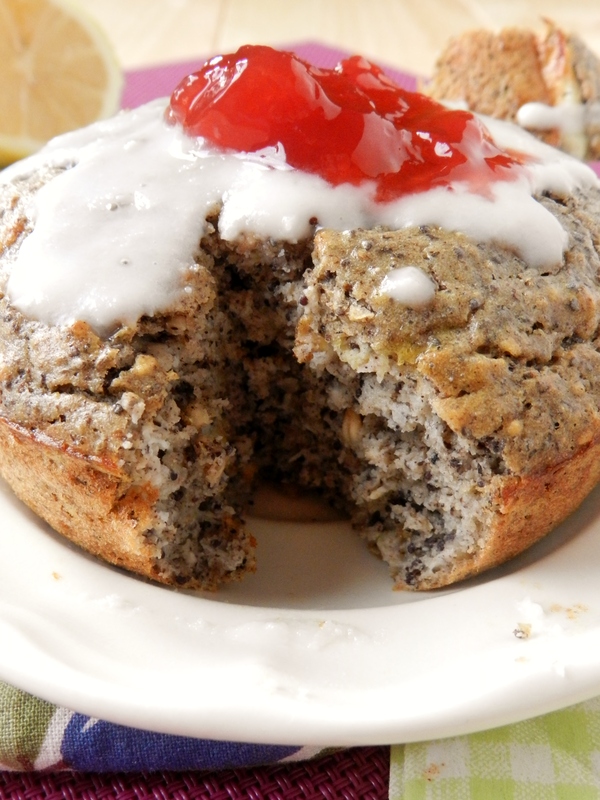 So now none of you has any excuse not to make a buckwheat bake! Stir together all dry ingredients in a small bowl. In a separate small bowl, stir honey into the yogurt. Add all other ingredients and stir to combine. Pour batter into a large greased ramekin or bowl and bake for 30-35 min. What is your favourite breakfast? 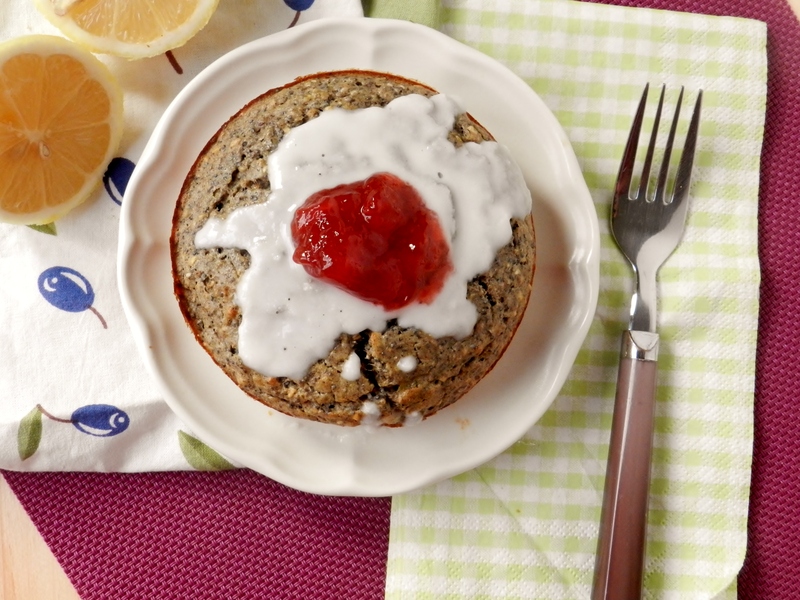 Have you ever had a buckwheat bake? 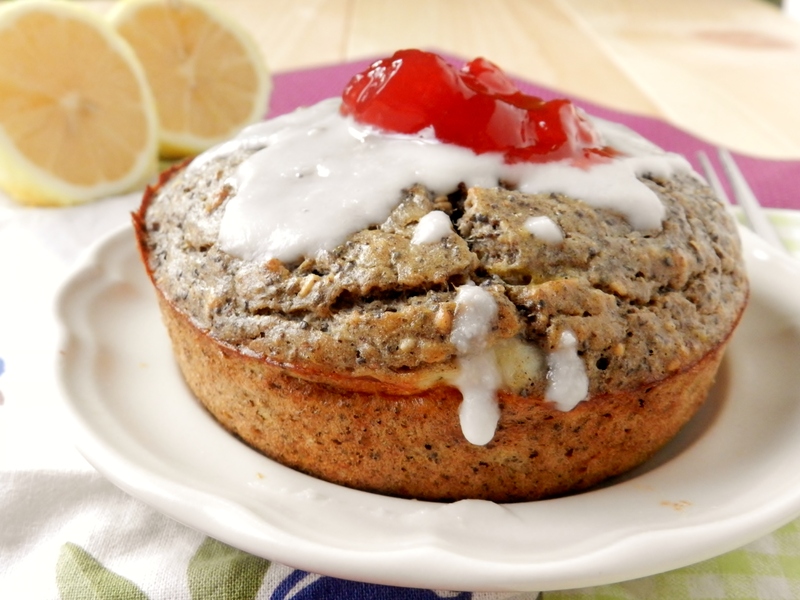 Posted in Uncategorized and tagged bake, breakfast, buckwheat bake, cake, coconut, coconut butter, gluten free, healthy, lemon, poppy seed. Bookmark the permalink.